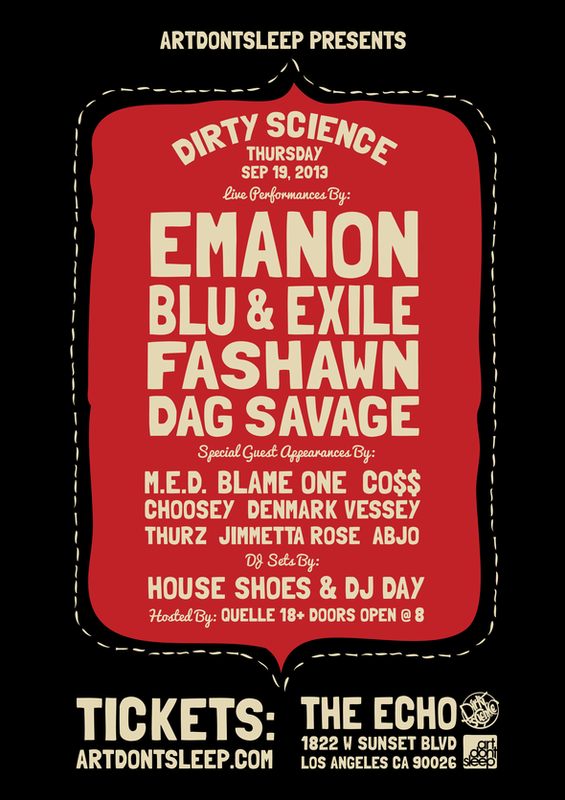 DIRTY SCIENCE: Emanon, Blue & Exile & More! 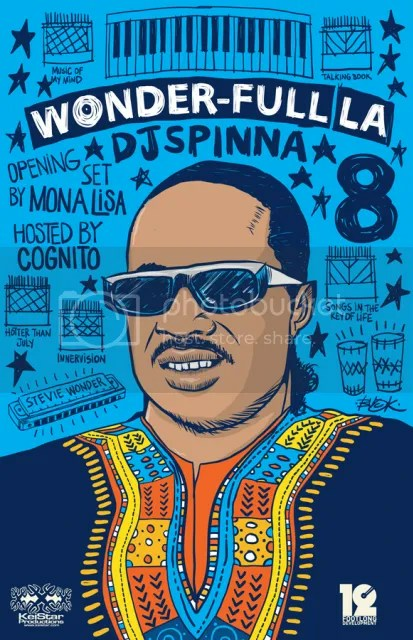 Med, Thurz, CO$$, Blame One, Choosey, Denmark Vessey, Jimmetta Rose Smith, ABJO and more! 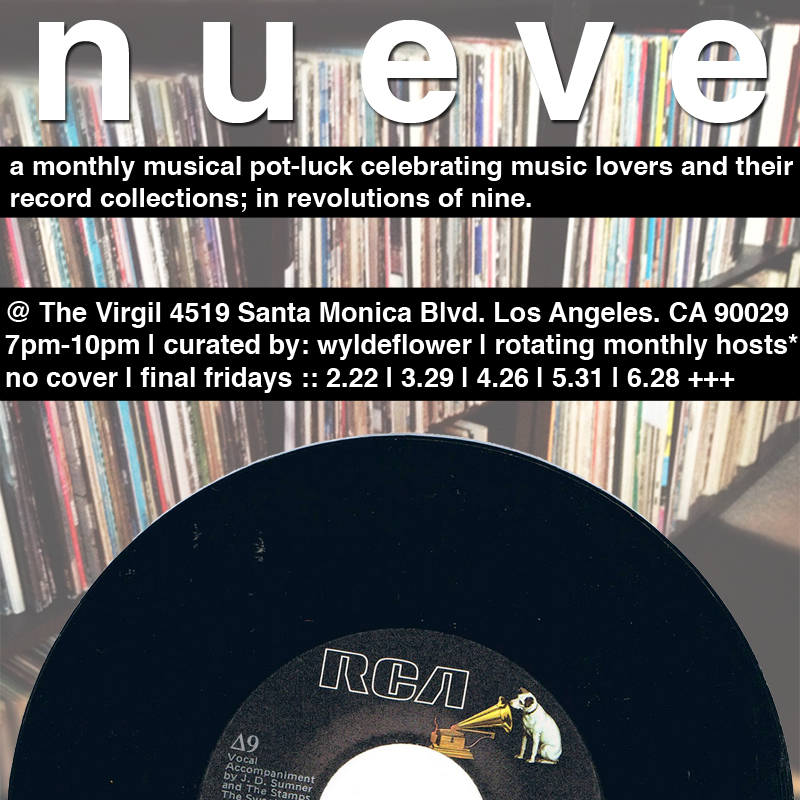 nueve – a monthly musical pot-luck celebrating music lovers and their collections in revolutions of nine. 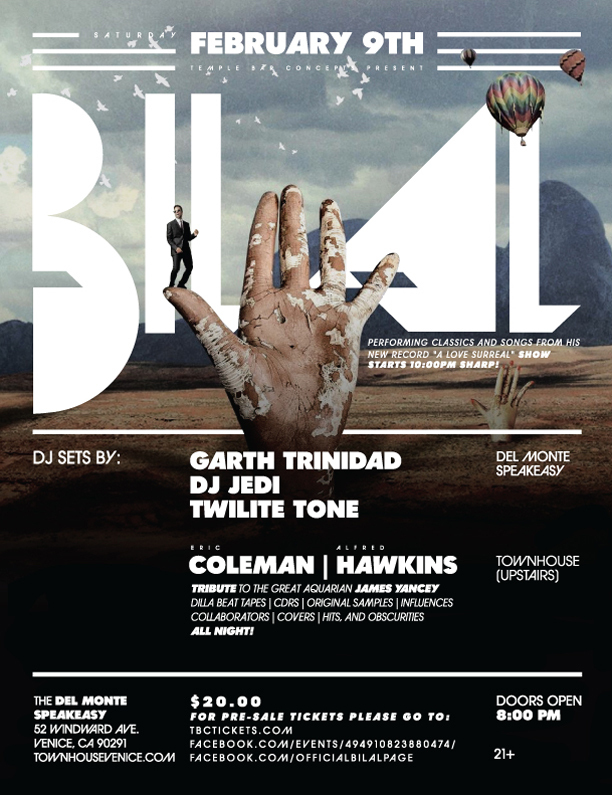 Bilal in LA, Saturday 2/9! Playing classics along with songs from his new record A Love Surreal!